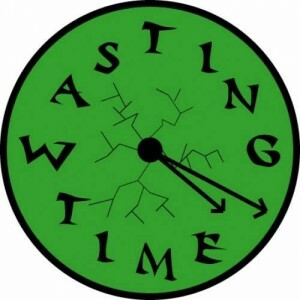 Top time wasters of Internet marketing. 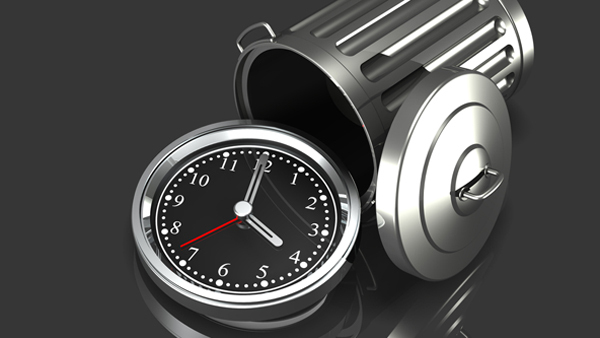 Any experienced Internet marketer knows that the worst thing that they could ever do is to waste time. Even if it’s only an hour or a couple of minutes per day it could quickly add up. The most negative side of wasting time if you’re in the Internet marketing business is that you also loose valuable time that could be spent on making more money online. This article will go though some of the top time wasters of Internet marketing, you’d better read this if you’re serious about making money online. Oh, this is a really bad one. If you fail to plan what you should be doing, then you are wasing a lot of precious time. This includes researching your websites niche and keyword (can be devastating), planning/witing keyword targeted articles, planning your marketing efforts and so on. In fact this is such an extreme time waster that you could be wasting months or even years by running websites or businesses that will never flourish and bring in a decent amount of money. If you learn to think ahead and look at the risks and benefits of each new project you could be earning a lot more money. Use your brain! What if i did this? Imagine if I had that. I also want a website like yours! If those sentences feels familiar then you are wasting time daydreaming instead of taking action. Sure, it’s good to daydream a little bit, it keeps you going and helps you set up goals, but it could also make you lose all hope of ever succeeding. You can dream when you sleep, don’t do it while you’re awake, it will not help to break the $1000 per day barrier. Do you remember that rush you had the first time you made some money online? I mean, it can’t barely be compared with anything else. A few ones and zeroes flew though the vast Internet and bam, you had $40 in your account. Unfortunately for Internet marketers, this feeling does almost never go away. The more you earn and the more project you are running at the same time, the more times you will check your account balance. This is a major time waster since you will gain no knowledge in how to improve your business etc. According to me, the best time frame of checking your income is once ever third to seventh day. This way you will get a better overview of what Internet marketing strategies that works. Don’t check your money every hour, it won’t go away. Yes, I know that I just wrote an article stating that forums are a great way of getting reputation and establishing yourself as an expert, but too much of it can quickly lead to hours of nothing. If you’re finding yourself spending way too much time on forums helping others or reading success stories, then you’re wasting your own time. 5. Instant messengers and phones. Some of you might be online a lot, and while online you might chat with your friends and family though instant messaging. This is a big time waster for internet marketers since you barely get any valuable information or help by doing this. Most Internet marketers learn to shut down all messaging software while working. Some even pull the plug or turn off their phones so that they wont get disturbed while in the middle of writing articles or promoting products. Yup, even social networking sites have been proven to waste your time as an Internet marketer. Some people can spend hours on websites like Facebook or twitter, updating their status like a wild river. Don’t do it! 7. Not deciding how to make money. I feel sorry for people jumping from one way of making money to another way the next day. Don’t fall for other peoples Internet marketing strategies, it will only distract you from your own. You can almost make money with all the promoted ways online, but if you keep switching all the time you will only make pennies. Money don’t come easy and there is not push-button system, so don’t look for it! OK, so you found this awesome product online that you think will help you a lot in making money online or marketing your Internet business. Now stop and think, is this the only product of its kind? It most likely is not. Many times when I have come across a really good product, I also too time searching if there was any similar products on the market. What I found out was that it did exist more products doing the same thing. I also found out that in 80% of the time, those other products are both cheaper and better than then one I was about to first buy. Now why did I want to buy the “bad” product? Because they were sold by top internet marketers promising me a lot of things, it was sold by people who knows how to sell things! Don’t buy worthless products, you will lose money, and as we all know, time is money, hence you will also lose valuable time. Again, use your brain! 9. Checking Search engine results. Where am I, where am I?! I see a lot of people asking every day where they are in the search result and why they keep changing rankings all the time. You need to understand that it can take months or years until you get a pretty stable ranking. Some days you may rank on page 5 for your top keyword, other days you might rank on the first page. 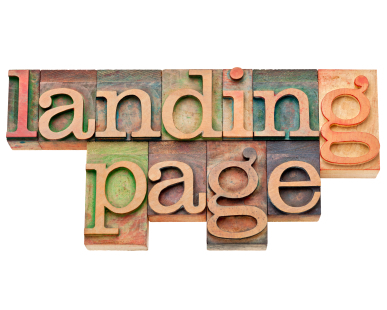 Stop looking for your website in the search results several times per day. Limit it to checking once ever third day or once a week. Otherwise you will never get anything done. So those are some of the worst time wasters for Internet marketers trying to make money online. ‘m sure you might be able to come up with quite a few more and I’m also sure that if you have been in the business for a while you are also guilty of wasting your time with at least one of these. Take care and I hope to see you return for more information on how to make money online, do SEO and grow as an Internet marketer!